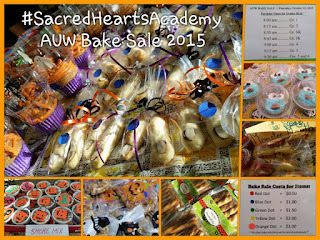 The Academy's Annual AUW Bake Sale was a huge success! 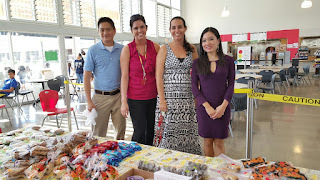 Donations of home-baked cookies, cakes, trail mix, pretzels, drinks and a variety of snacks started coming in at 6:30 a.m. and our energetic Student Council officers and reps from lower and high school took them to the Clarence TC Ching Student Center. 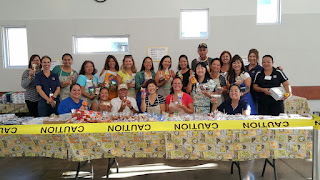 More than 23 parent volunteers re-bagged, tagged, and laid them out on the cafeteria tables. 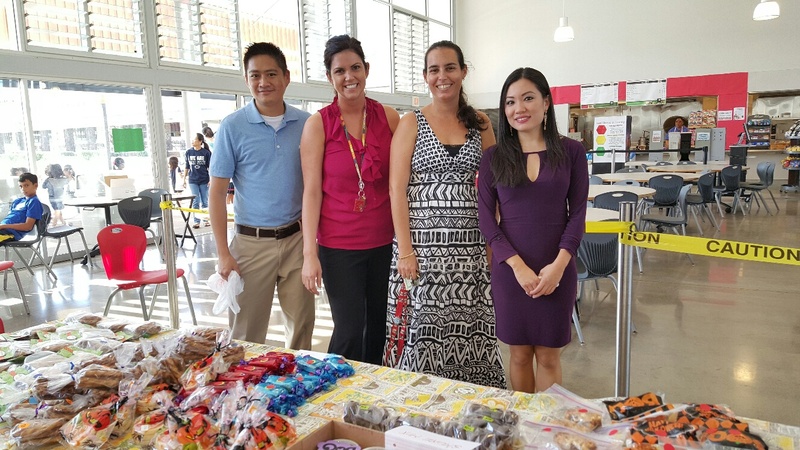 Business was brisk as classes came through the tables and purchased delicious snacks for them and their families. 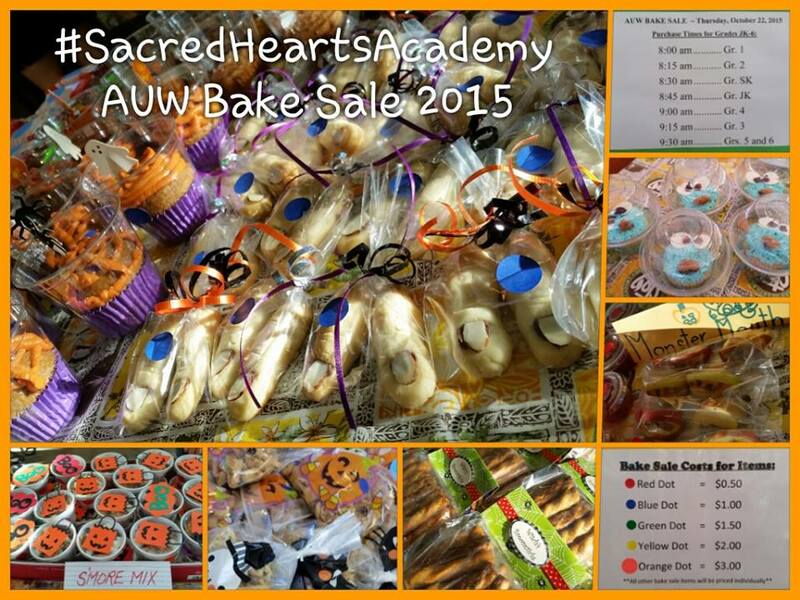 Even the three fire inspectors who happened to be visiting the campus yesterday came by to support AUW! 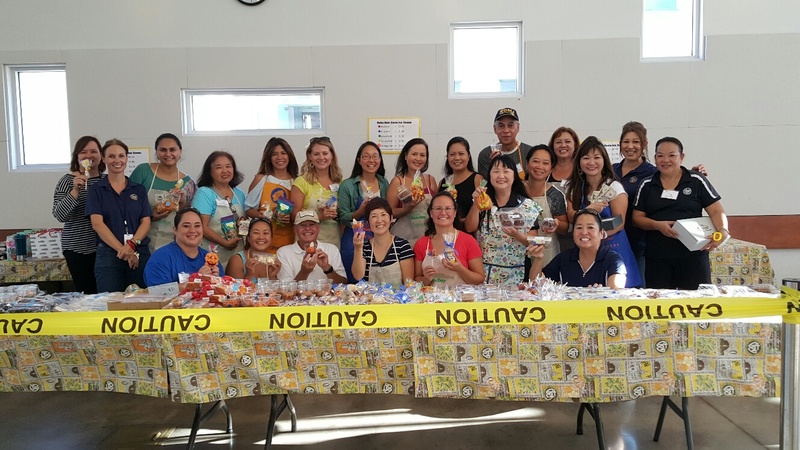 Academy Parent Board members Edie Libby and Kathy Lou Ayano, '83 also offered freshly popped popcorn which sold hundreds of bags; while Sandee Higuchi and Mikel Raphael diligently totaled our proceeds for the day and turned in a total of $3,682.07 to the business office. Hooray! The success of this drive was made possible by the overwhelming generosity and the willingness of our Academy 'Ohana and so many volunteers who worked hard to achieve our goal! Mahalo!